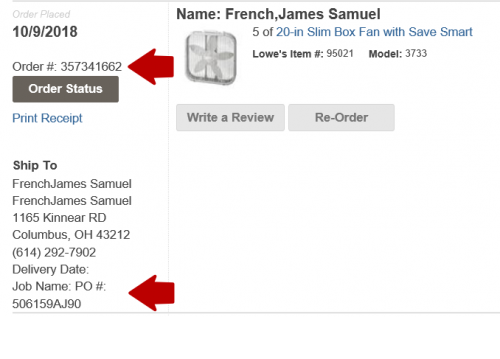 Below find the Lowe’s inside sales contacts for locations that accept supplier website orders via eStores. Please note that the Ohio State Purchase Order number and the Lowe’s order number are available on the supplier website under the Your Orders link on the catalog landing page. See the screen shot example shared below.